I remember as a kid sitting on a family friend's couch while my mom was in the kitchen talking with her friend. My brother and I watched the television as one of the space shuttles launched from 18+ hours away at Kennedy Space Center in Cape Canaveral, Florida. I remember thinking how awesome it would be to see a launch in person, but never imagined being able to see it first hand. 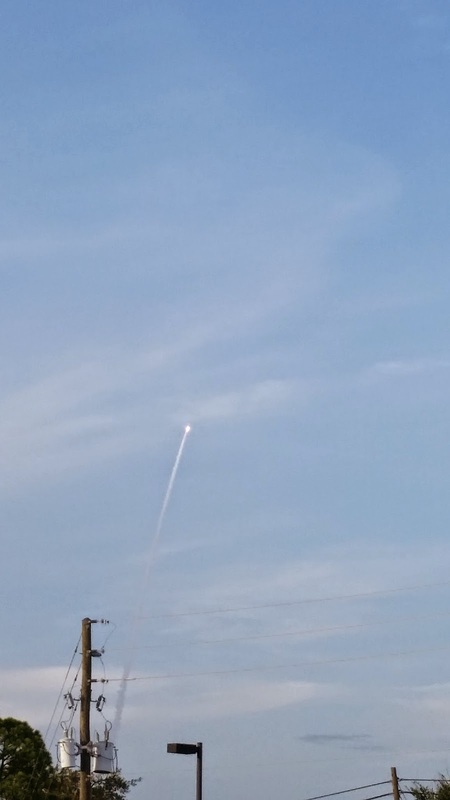 It wasn't until my wife and I moved from the Midwest to Clermont, FL that I was able to finally see a launch in person. Even though we were still about 2 hours away from Kennedy Space Center we still had a pretty awesome view for several launches. It didn't matter what time of day the launches were I always tried to get outside to see the astronauts off into space. 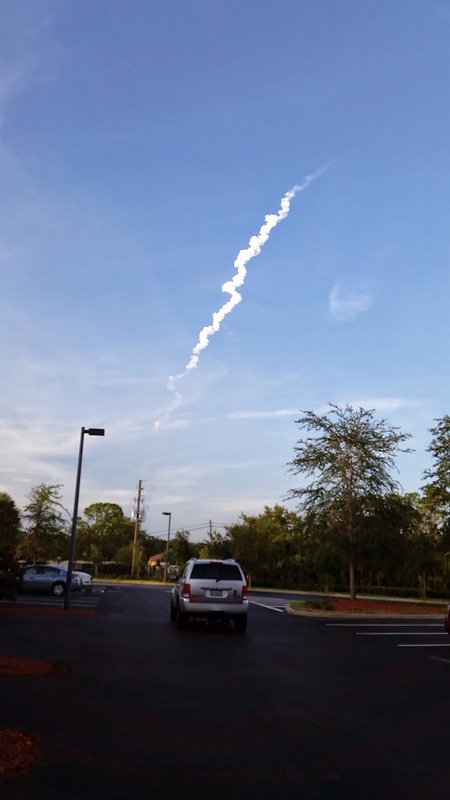 We moved away shortly after the last manned shuttle flight returned from space and I thought my interest in space would pass and that my children would never get to see a launch of any type. This past February my wife accepted a position that would relocate us just minutes from Kennedy Space Center. It excited me to hear that even though there weren't manned space shuttle launches taking place, that there were still rocket launches being shot up into the sky. I have made every attempt I could to watch each of the launches that have taken place since moving here and have even been blessed to get to share them with my children. There's nothing like watching the fireball shoot into the sky and then to hear the roar of the engines. I'm excited to announce that I was selected to receive special media credentials for the SpaceX-4 cargo resupply for the International Space Station. I will get the opportunity to attend special panels, meet with various staff from Kennedy Space Center, view and take photographs for SpaceX Falcon 9 rocket on the launch pad and most excitingly watch the launch of the SpaceX Falcon 9 rocket on September 19th. This is definitely something that I'm incredibly excited about and will be sharing many pictures here on my blog as well as on my various forms of social media. Be sure to follow me on this journey!